Because I was born in 1942 I have been able to straddle the 20th and 21st centuries. I would not be able to write this if I had been born in 1842. Since my two week trip to Buenos Aires in April I have been thinking about the subject of this blog. It has something to do with the curious fact that the City States of Ancient Greece, at least the idea of the city state, exists as Buenos Aires. My place of birth, Buenos Aires has a population around 3 million and the Gran Buenos Aires is 12, 800. 000. Argentina’s population is 41 million. Because Buenos Aires is a port city and the English in the latter part of the 19th century and the beginning of the 20th built the railway system, all the train tracks (and roads) lead to Buenos Aires. Many in Argentina sometimes call our city a pulpo or octopus. I have thought of this long and hard and I cannot come up with another city in our world that has at least three writers (Jorge Luís Borges, Ernesto Sabato and Julio Cortázar who have written novels, [Borges, poems, essays, and short stories]) that represent something that Argentines call costumbrismo. This is to write about the place where you live. Borges has numerous poems and stories which mention exact intersections of corners of Buenos Aires, of train stations and barrios (neighbourhoods). 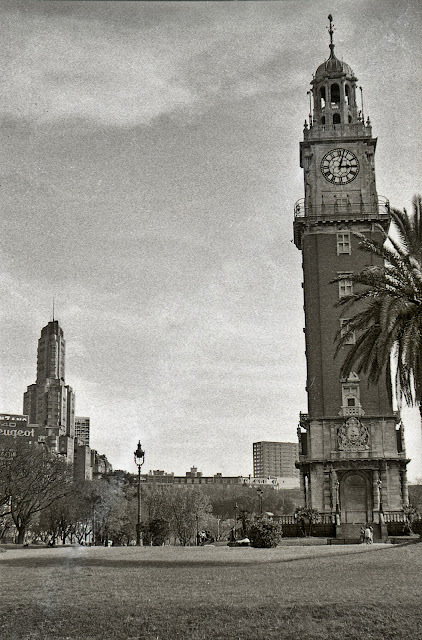 When Cortázar wrote from Paris and about Paris, his Paris was Buenos Aires. Argentina also has novels and poetry about its interior. The most famous is José Hernandez’ Martín Fierro not to mention the work of creative non-fiction by Domingo Sarmiento (a president of Argentina in the 19th century) Facundo: Civilización y Barbarie. There are countless Argentine poets who wrote about the Pampa in the 19th and the 20th century. But I believe that the idea that a city has three writers (all deceased) who almost exclusively wrote about their city is unique. While even Borges acknowledges that the tango came from Uruguay’s milonga he adds to this the idea that it is in bad taste to call the country Uruguay. Argentines, many of them call it la Banda Oriental (the eastern side of the River Plate) and Uruguayans are orientales. But wherever the tango came from it became the song and dance, not of Argentina but of the city of Buenos Aires. Argentina has a wealth of música folclórica or folclore, but it is the music of the provinces. The tango is porteño. It is of the city. Of late I late I have been listening to an Astor Piazzolla CD called Hommage a Liège. It features Piazzola on the bandoneon, and Cacho Tirao on guitar. They are accompanied by the string orchestra of Liège. The recording is live from Belgium in 1992. 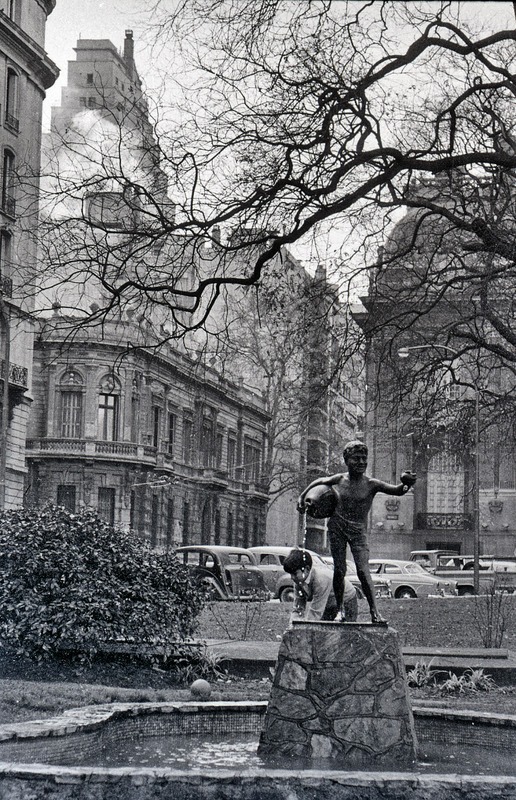 I have been struck by the idea that even from Belgium the music, the music of Piazzolla is not really Argentine (it is more universal since he studied under the very French Nadia Boulanger (who also taught composition to Dave Brubeck) but pure Buenos Aires. American jazz is not of one city and the closest I can think of might be the Viennese waltz. In literature Raymond Chandler wrote about Los Angeles and its neighbouring areas. There may be other writers and composers but I cannot think of any. And then there is this other startling fact sent to me by request by my Argentine friend Roberto Baschetti who is an hincha (fan) of Club Atlético Boca Juniors. Madrid has two First Division football clubs. Buenos Aires has 17 within the city and many more in the outskirts. So I rest my case that Buenos Aires is a modern example of the Greek City State. HURACAN (Barrio de Parque de los Patricios. CABA). J.J. DE URQUIZA (Caseros. Pcia. de BsAs. ).